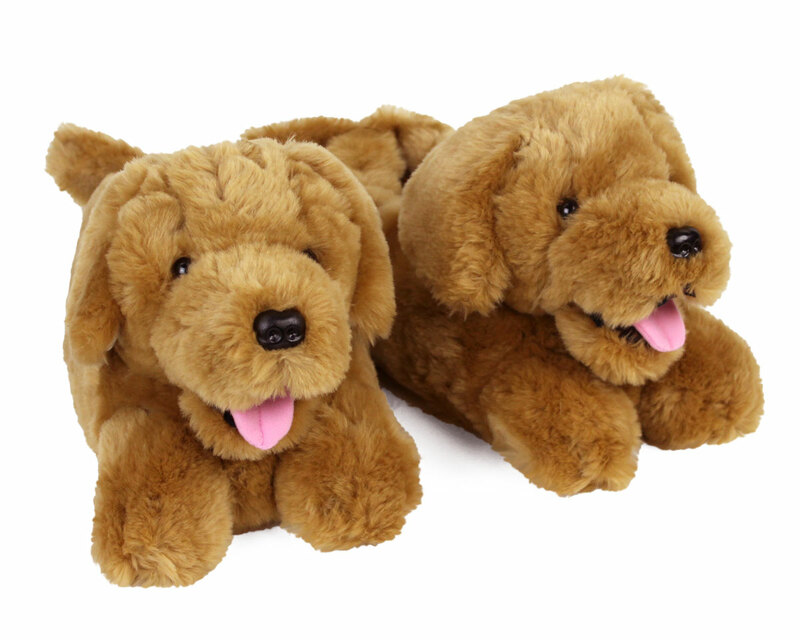 These slippers are a sweet tribute to one of our favorite pets, the Golden Retriever. 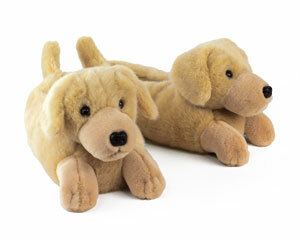 With a floppy ears, a tail, and a pink tongue, these slippers capture the friendly and devoted nature of the Retriever. 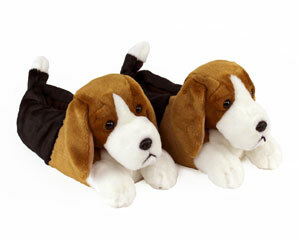 This is a great gift for anyone who loves Golden Retrievers…woof! 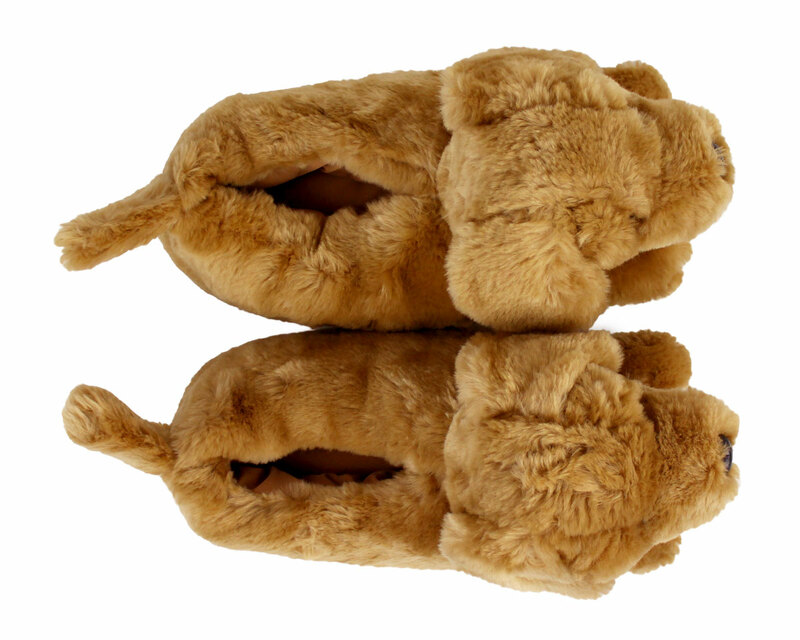 Made with plush uppers, soft golden fur, and a cushioned footbed with non-slip grips on the sole. I ordered slippers as a gift. 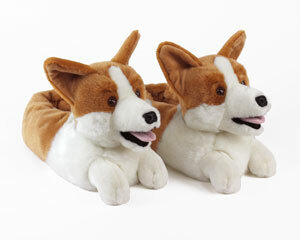 The recipient loved the slippers & said that they are comfortable and warm. 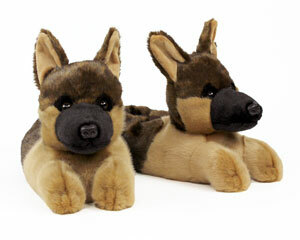 Advantages: Cushioning, soft, absolutely adorable! Good quality, worth the wait! The hardest part of buying something like this online is the size. Your size chart was right on - my husband wears a 9-1/2 shoe and the large fits perfectly. Advantages: Very warm, well made, accurate sizing chart. My daughter, age 28, loves our dog. She is about to move away to go to grad school. I go her the golden retriever slippers and she absolutely loved them. They were a great hit! They are well made, comfortable, and she loves them. I can't recommend them highly enough. BunnySlippers.com delivered. Advantages: Great service and slippers. Absolutely adorable, the Goldens looked just like the real thing. Wish they came in more than one size fits all. Think they will be too big for my daughter and dangerous on stairs. Loved the slippers! So cute, fluffy, comfortable. One size fits all was nice and they have anti slip grippers on the bottom. 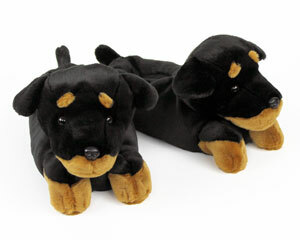 Adorable slippers, great grip on the floor. Great quality!